Jason Collins is a free agent. He’s a skilled center that can provide stout defense off of the bench, and he’s a veteran presence. He’s also just become the first openly gay athlete in professional North American team sports. Throughout his 12-year NBA career, the journeyman center has been known for leaving an indelible imprint on every game he plays without putting up major numbers. He’d defend the league’s best big men expertly, changing the course of both regular season and major playoff games with his work on that end, while barely adding points or rebounds to the box score. If you weren’t watching, you wouldn’t know he was there; much less what sort of impact he made. 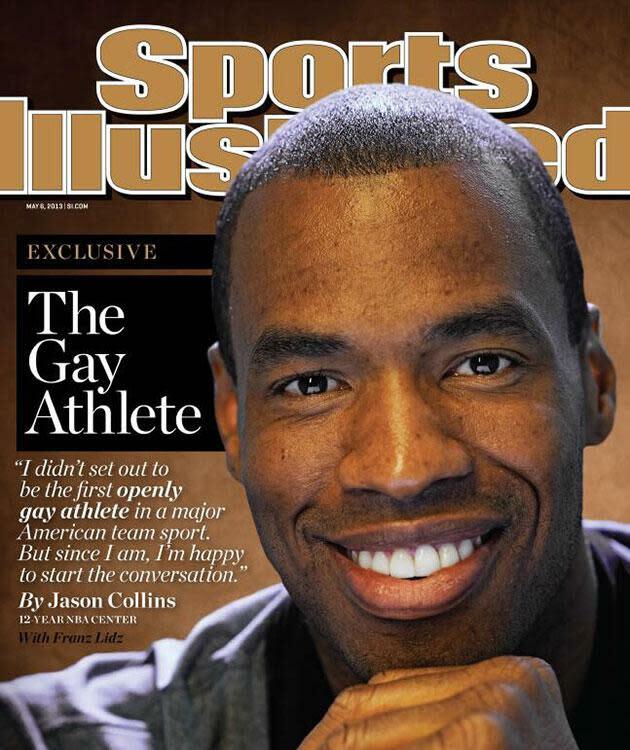 Now, after a game-changing interview with Sports Illustrated, Jason Collins has made a sports-altering impact. The free agent center, who played with both Boston and Washington in 2012-13, has announced he is gay. And the calmness and confidence in his revelation befits a man who was always just fine with playing a style of game that left him unnoticed by all but those who were paying close attention. I'm glad I'm coming out in 2013 rather than 2003. The climate has shifted; public opinion has shifted. And yet we still have so much farther to go. Everyone is terrified of the unknown, but most of us don't want to return to a time when minorities were openly discriminated against. I'm impressed with the straight pro athletes who have spoken up so far -- Chris Kluwe, Brendon Ayanbadejo. The more people who speak out, the better, gay or straight. It starts with President Obama's mentioning the 1969 Stonewall riots, which launched the gay rights movement, during his second inaugural address. And it extends to the grade-school teacher who encourages her students to accept the things that make us different. Collins has always been a unique player. He was drafted into this league with a twin brother Jarron, a major rarity, while helping initialize a new era of NBA center -- one that is often asked to treat an opponent like a guard and alter the shot, instead of hoarding blocks and rebounds and other showy stats. Now, he’s the most unique player in sports. An openly gay and active player working in North American team sports. Collins isn’t the only gay man currently drawing a paycheck from the big four major sports leagues, but as of right now he’s the only active gay player open about his sexuality that could head into next season’s training camp. Because of Collins’ bravery and influence, it’s very likely that he won’t be the only open player doing as much by the time the 2013-14 NBA training camp starts. Kudos to Jason Collins, a history-changing trail blazer, for that.